You are here: Home / Uganda & Kenya Reached With The HalleluYah Scriptures Freely!!! 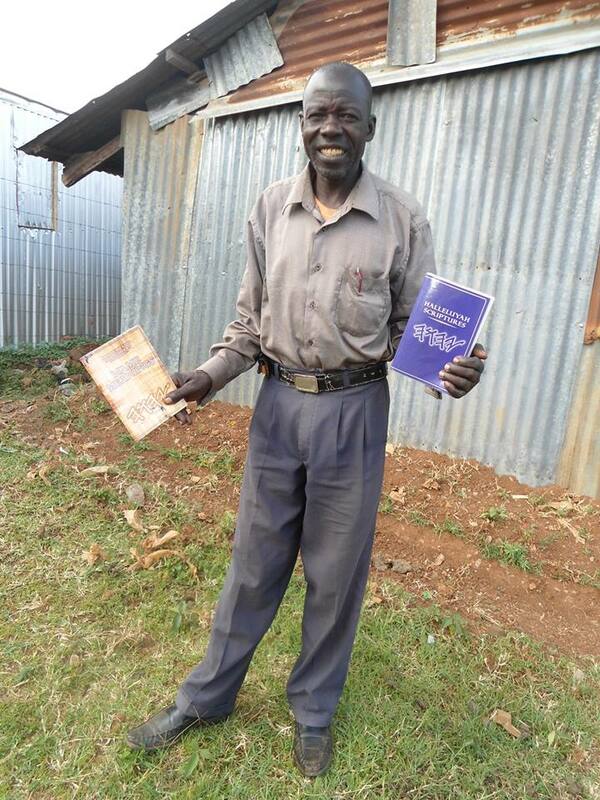 Uganda & Kenya Reached With The HalleluYah Scriptures Freely!!! 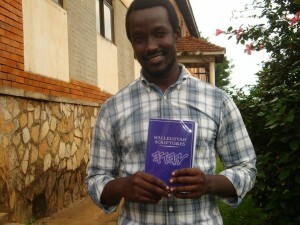 This brother so was excited to receive His free copy in Uganda. 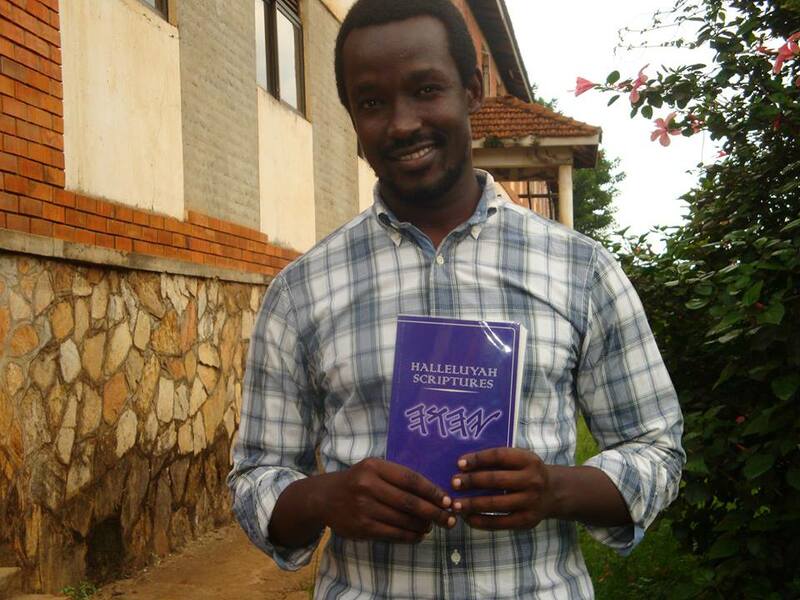 The HS has sent a good number of copies to Uganda and a number of other African countries. The needs in these countries are heartbreaking as most have never seen a copy of the Father's Word and never knew one existed and when they are presented with His love letter they weep and then have the hugest smile on their faces as they just cannot believe it. We are working to get larger shipments to Uganda, Kenya South Africa and other African places. We have a couple of groups in South Africa that are so passionate to get the HalleluYah Scriptures out to those in desperate need and who are without the Word. 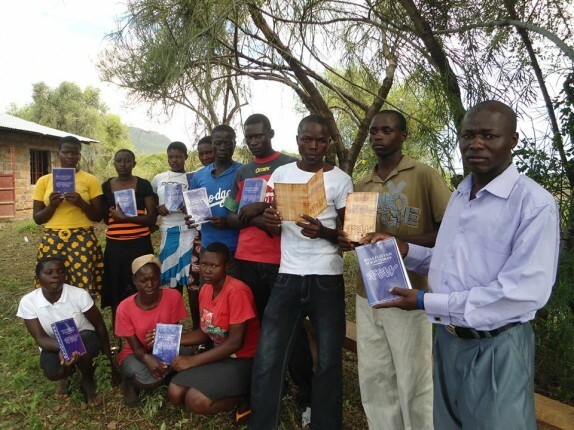 These groups in South Africa, Uganda and Kenya are working hard to get copies into as many hands as possible and are happy to do so as they consider it an honour to do such a thing. Over the past year we have been contacted by a large number of groups and believers in South Africa who have been sharing the HalleluYah Scriptures and have come together to work toward the larger shipment arriving. They have expressed great joy and enthusiasm in receiving HalleluYah Scriptures. We look forward to working towards fulfilling their needs. "Shalom! Here are some photos I have tried to take and share with you. Brother Samuel Ochieng and his family, Elder Lawi Adongo, and Pst. 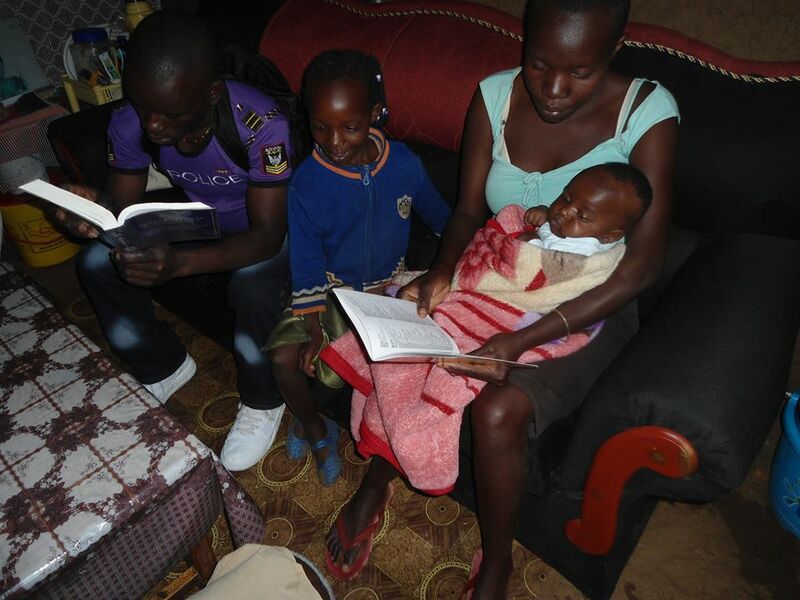 James Odhiambo, with their Halleluiah Scriptures. May YHWH bless you all for the wonderful work you are doing to ensure that people have the copies of these Scriptures in our country Kenya. We are still in need of more copies and other learning materials." "Shalom HalleluYah Scriptures, I was able to receive freely the HalleluYah Scriptures. I would love to say sorry for my late respond. "We are coming from the remote part of our country, we are not able to get the camera on time to take the photo's, it is also expensive to take many pictures so I was not able to take them all. We also move long distance to get cyber cafe for our connections. We receive the shipment with HS and Name meanings. Our prayer is that if possible can we recieve many more copies for we have many that are in desperate need. Thank you and Shalom from Kenya." IF YOU CAN HELP THIS GROUP RECEIVE MORE COPIES AS THEY TRAVEL TO REMOTE AREA'S OF AFRICA AND SHARE THE FATHER AND HIS SON'S NAME AND TRUTH, PLEASE KINDLY LET US KNOW AS THEY ARE IN DESPERATE NEED. The Father repays to those who help those in need. That is where our investment is, in His Word. His Word has all the answers and He is a wonderful teacher. Trust in Him and His Son for they will lead you and guide you into all truth.